What do young people know and understand about the Holocaust? Access course information, save learning materials and update your details. In his role as Executive Director, Stuart has provided strategic leadership for the UCL Centre for Holocaust Education since its inception in 2008. Ruth-Anne offers strategic leadership and management to the Centre and directs the innovative Masters module, The Holocaust in the Curriculum. Darius works with teachers on the Centre's various professional development programmes and oversees the Initial Teacher Education programme. Emma teaches across all of the Centre’s professional development programmes and oversees the Centre's CPD offer 'Unpacking the Holocaust'. Andy works across all aspects of the Centre's CPD programme, and is involved in the Centre's research activities. Nic continues to work at Royal Wootton Bassett Academy in Wiltshire whilst working within the teaching team at the Centre. Tom has recently joined the team at the Centre and teaches across the wide range of professional development programmes offered by the Centre. Alice leads the Centre's research team and is a principle author of our landmark research reports, that inform our CPD programme and educational resources. Rebecca Hale is part of the research team and one of the authors of the Centre’s publication: What do students know and understand about the Holocaust? Evidence from English secondary schools. She leads the Centre’s quantitative research to explore the impact of the Centre’s professional development programmes for teachers. Eleni is part of the research team. She is involved in the Centre’s research into teachers’ practices and students’ understandings of the Holocaust. Sylwia is a member of the research team. She is involved in different aspects of studies undertaken by the Centre into teaching and learning about the Holocaust. Arthur is a Senior Lecturer in History Education and a member of our research team. Arthur taught history for 12 years prior to beginning to work in universities. Louise provides managerial support to ensure that the Centre work streams are planned, coordinated and delivered. Shazia is a key point of contact with teachers and oversees the logistics of the full range of professional development programmes and special events. Mike provides comprehensive administrative support for both programme delivery and research. Since the Centre's inception, Evangelos has provided IT consultancy and support to the Centre for Holocaust Education team. Individually, pupils suggest what kind of people they think were the killers and collaborators, bystanders and rescuers. This tends to reveal a range of stereotypes and misconceptions, from mad, evil monsters to heroes. 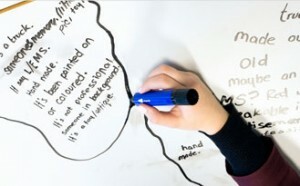 In small groups, the pupils test their prior thinking and expectations against a range of historical case studies, examining the situations faced by real people. They discuss and debate the dilemmas and decisions, beliefs and motivations of people in the past. Contrasting their research findings to their prior expectations, pupils discover that the past is far more complex, nuanced and troubling than they had imagined. They see how easily ordinary people - not monsters or psychopaths - can become complicit in genocide.